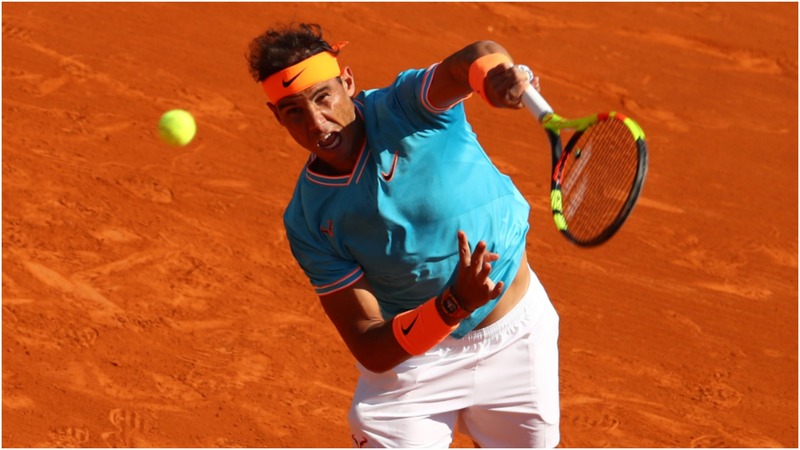 Rafael Nadal put on a clay-court masterclass to down Roberto Bautista Agut 6-1 6-1 as his bid for a 12th Monte Carlo Masters crown began in style on Wednesday. The world number two is the king of the red dirt and his first match on the surface in 2019 was typically breathtaking. Nadal has won this tournament more times than any other player and, having seen Marin Cilic and Denis Shapovalov already depart from his quarter of the draw, another title tilt looks to be on the cards. Bautista Agut turned in an energetic display in a desperate bid to keep up with the favourite, yet it was all in vain as a comprehensive result was secured in an hour and 16 minutes. Nadal quickly set about wearing his opponent out, spraying shots from the back of the court, and he seized a second break point to take complete control of the contest. He continued to work all four corners of the court and Bautista Agut had no answer, slipping a further break behind as Nadal whipped a sensational forehand just over the net. There appeared to be no stopping the perennial champion. Bautista Agut battled bravely but one incredible rally summed up the futility of his efforts, with Nadal reaching and bettering each brilliant return. Bautista Agut belatedly won a game after trailing 5-0, yet the first set was beyond him and, soon, so too was the second. Seven points in a row gave Bautista Agut three opportunities to cancel out Nadal's swift break, but the second seed wrestled back control and it was largely plain sailing from there as he forced his compatriot to drop serve twice more en route to a resounding victory.